They are currently up to day twelve so I'll do my best to post several a day that way I can catch up and keep you all enlightened and hopefully educated as we both learn together during my WEGO experience! Feel free to share your thoughts by commenting below as well as sharing the post if you love it with friends/family online. I chose Lupus of course since that is the illness I've been learning to manage for a little over a year now! This is an acronym/acrostic I've created which defines one way I see lupus today. I've met so many spirited individuals living with lupus who inspire me to keep fighting each day, take a look! 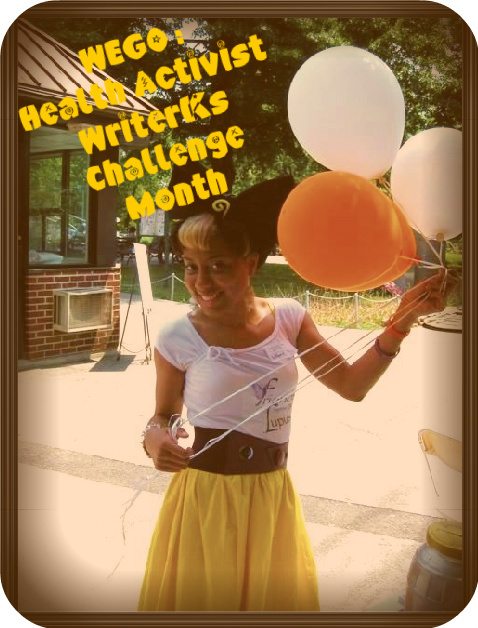 Keep on the lookout for The WEGO "Health Activist Writer's Month Challenge" for Day number 2 posting tomorrow morning at 11am! Oh, wow! I may try this too - I have a file full of ideas but I am not quite sure what to do with most of them yet. Hmmm... Yep, I will sign up, and if I have a flare or something then I will finish it once I can. Good luck with yours - I get a lot out of your blog and do not think you will have any trouble with this challenge! Thank you Patient C! I look forward to reading your post so don't forget to share a link once you do! Stay strong!